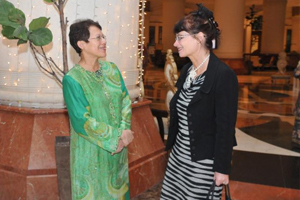 BANGI, 6 Dec 2012 – Scientists and researchers should shed their elitist image and become influential role models to make science and technology more attractive as an enterprise. 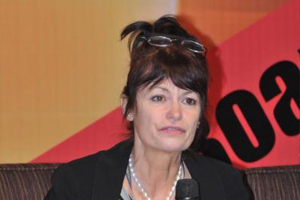 The European Commission’s top scientfic advisor, Professor Dr Anne Glover said they also must be more approachable to the public to show that they care about public concerns. Prof Glover was delivering her keynote address on “Research not Communicated is Research not done” at the 9th Association of Universities of Asia and the Pacific (AUAP) general conference, here today. 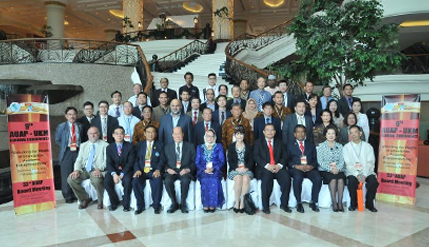 The conference featured 25 presenters from Malaysia and the other ASEAN members, China, India, the United Arab Emirates, Japan, South Korea, Britain, and the United States among others. She said scientists must communicate more with the laymen who are put off by technical jargon and be more accessible to the ordinary people who may turn out to be venture capitalists or financiers who can help fund their innovations one day. They must also be able to speak in ways that ordinary people can understand and relate to. The general public has the perception that scientists are either eccentric, dishevelled or even reclusive. The irony is despite not understanding technology or the scientists, the public are using gadgets more than ever in their everyday lives. What scientists need to do is to become role models by undergoing a makeover to make themselves more sociable and approachable. They need to do that because they have to be sensitive to the concerns of the public on issues such as pollution, genetically-modified food and sustainable energy. Prof Glover also believes that science is a culture, a field that attracts more people. She cited Michelangelo and Leonardo da Vinci, icons of the Renaissance era as being both scientists and artists. In more recent times people like Bill Gates, Steve Jobs, Mark Zuckerberg, Sergei Brin and Larry Page all have scientific backgrounds but they became celebrities because of their image as successful entrepreneurs. More importantly, to the ordinary people, they look “cool” and fashionable and became trendsetters. She said they would not have come up with their products such as Windows, Personal Computers, the I-Phone, social networking sites or search engines if they had not worked out the scientific challenges first. They become famous because of their business acumen but few people bothered to look at their scientific and technical breakthrough achievements. Youngsters look to them as role models but at the same time may not necessarily be interested in becoming scientists themselves. Speaking on a personel level to prove a point, Prof Glover, who did her First degree in Biochemistry at the University of Aberdeen, Scotland said when she went to the University of Cambridge 30 years ago to do her PhD in Molecular Biology and made few friends initially. She found out why and decided to transform her looks and disposition. She became better groomed and spoke more about Culture and the Arts. The outcome: she attracted more attention and gained personal as well as profesional respect for her scientific work. Prof Glover, who still holds a Personal Chair of Molecular and Cell Biology at the University of Aberdeen, was appointed as the European Commission’s first Chief Scientific Adviser in December 2011 advising the Commission President on scientific policies. She also acts as an ambassador for European science, both promoting and communicating the benefits and values of science in Europe. From August 2006 to December 2011, she was appointed as the first Chief Scientific Adviser for Scotland, where her role was to further enhance Scotland’s reputation as a science nation. She was joint chair of the Scottish Science Advisory Committee and served on the Scottish Council of Economic Advisers until her appointment to the European Commission in 2012. She was awarded a CBE (Commander of the British Empire) for services to environmental science in the Queen’s New Years Honours list in 2009. Prof Glover has often emphasised the need for science policy to be firmly based on evidence. She has also spoken of the need to improve science communication in order to win the confidence of the public and has championed gender equality in European science.